Who here is a chess player? My hand is raised, although I won't claim to be a pro by any means. I can hold my own though, and lately I've been itching to play! It dawned on me that Etsy might have some fabulous chess boards/sets, and they didn't disappoint! These are incredibly unique! 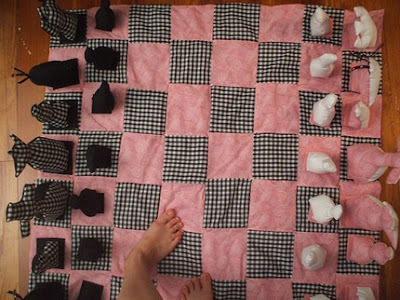 I love chess. I had an old dresser I painted a board on. It became a coffee table and could be played from either side. I want to do another table at some point. 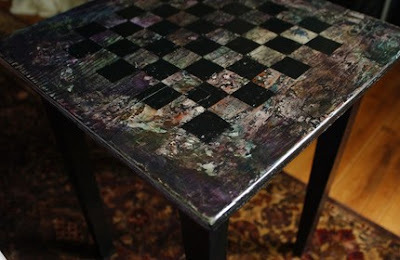 I think it's the coolest to paint it right on furniture. I haven't played chess in forever. I have an electronic board, but I can't seem to beat a computer. You can mess with peoples heads, but computers don't miss things. I do. 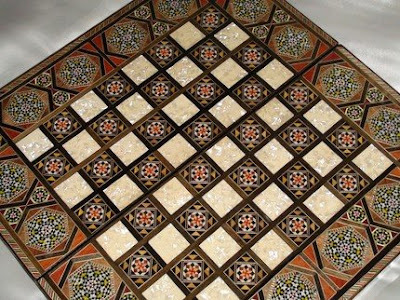 Nice chess boards. First one is really nice. Not a player never really played...looks hard. oooh fun! I love that last one. Very cool! Ooops! Sorry Jen...that we me that deleted a comment...I typed the wrong comment on the wrong post! This happens when you have 4 windows open!! 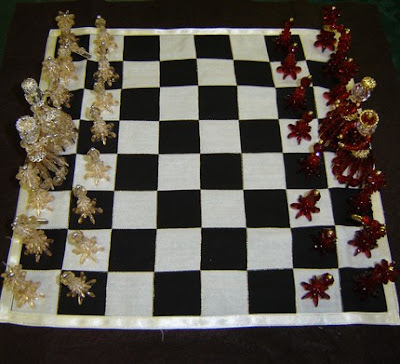 These chess sets looks so fun! I love the table! Love the hand quilted set. I wish I had listened to my dad and mastered the art of chess playing. hey haute whimsy! i'm so glad you like my table!! thanks for the post!